Alternate titles for this post: Baby It’s Cold Outside, It’s Definitely Chilly Chili Weather, I Can’t Feel My Fingers, Brrrrrrr. All garbage, I know. But it’s been so cold out lately, all I want is hearty warm dishes for breakfast, lunch, and dinner. 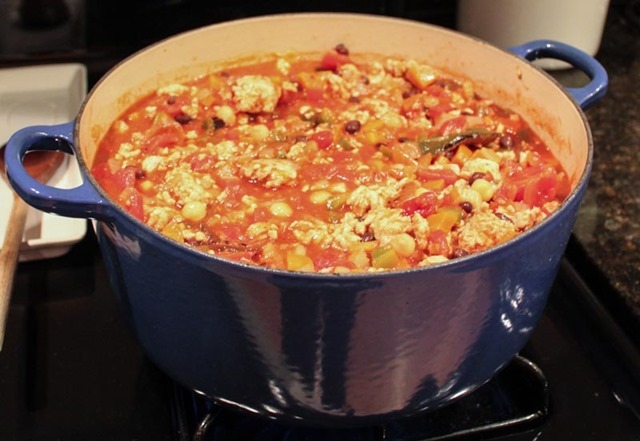 So I busted out my dutch oven, tweaked my vegetarian chili recipe, and came up with this perfect winter warmer. 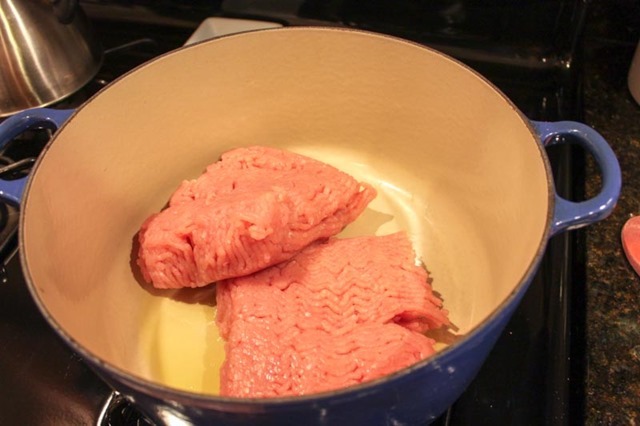 Start by browning the ground turkey and two tablespoons of EVOO over medium-high heat. I added a dash of salt and pepper here to make sure the meat was seasoned. 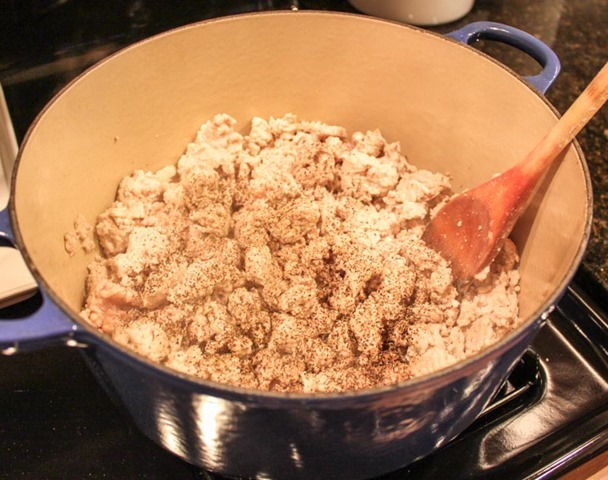 When the turkey is cooked, remove from the dutch oven and put in a separate bowl. Note the yummy brown bits at the bottom of the pot, this is all flavor that we’ll get to in a minute. 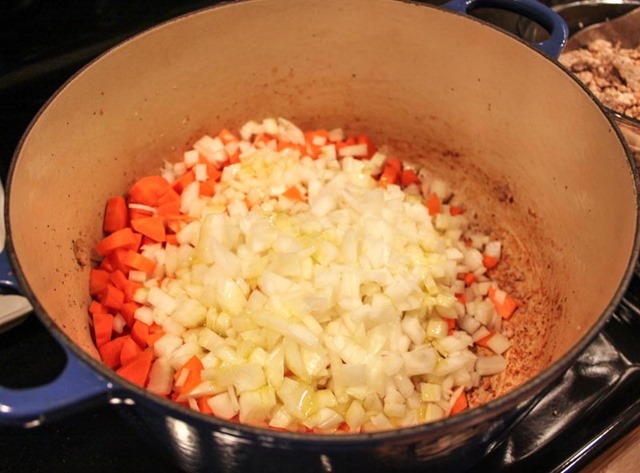 Toss the chopped carrot and onion in the pot with the remaining EVOO. Saute over medium heat for 3-5 minutes then add the celery. 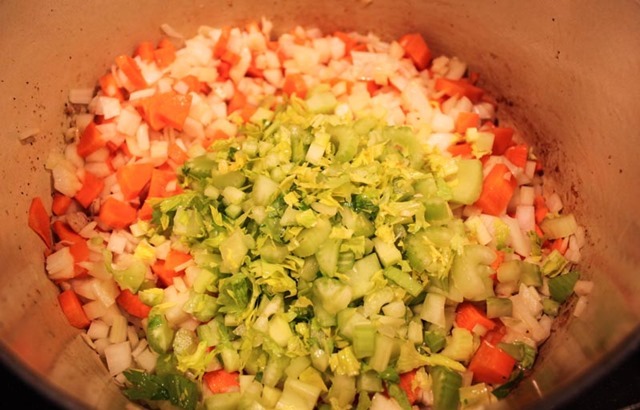 Cook until these veggies become soft and the onion is translucent. The veggies don’t need to be/shouldn’t brown, they should just get tender. 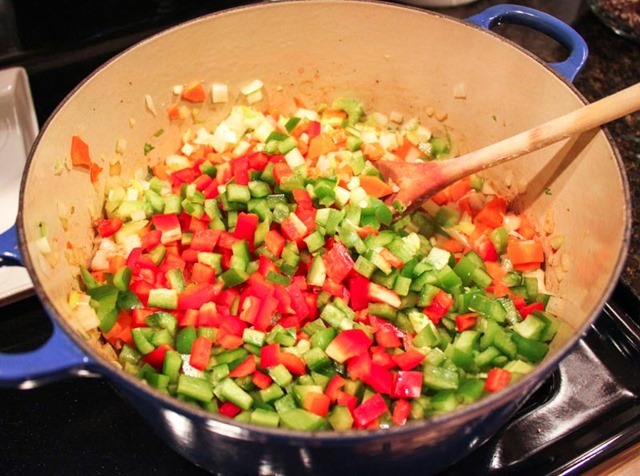 Add the chopped peppers. Cook together until those are tender. 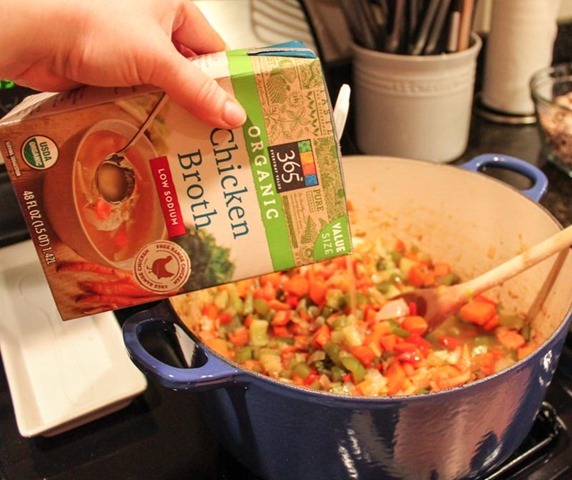 When all of the veggies have cooked, add the broth and stir. 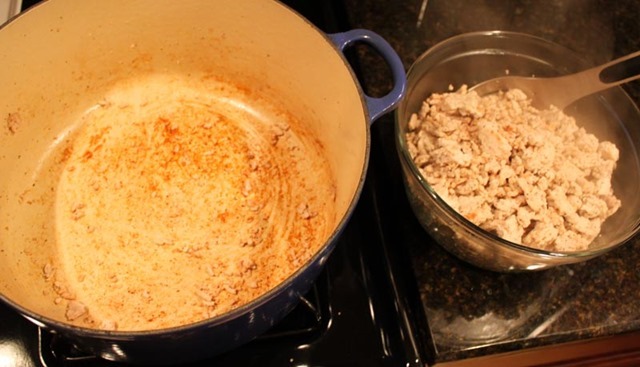 The broth will loosen the brown bits at the bottom of the pot and disperse flavor throughout the chili. Cook for 5 minutes. 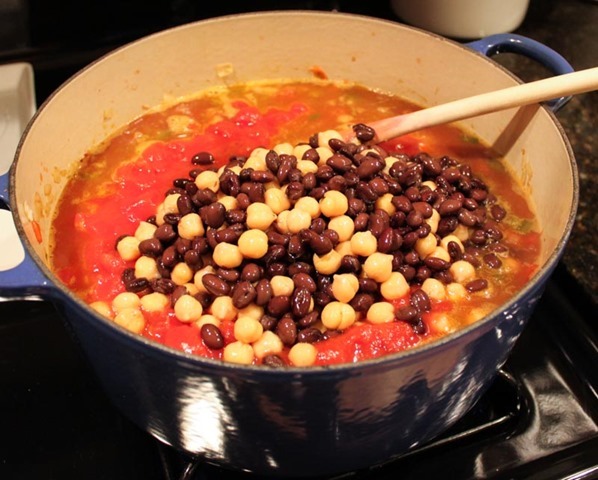 After 5 minutes, add the canned tomatoes and both kinds of beans. Stir, stir, stir. 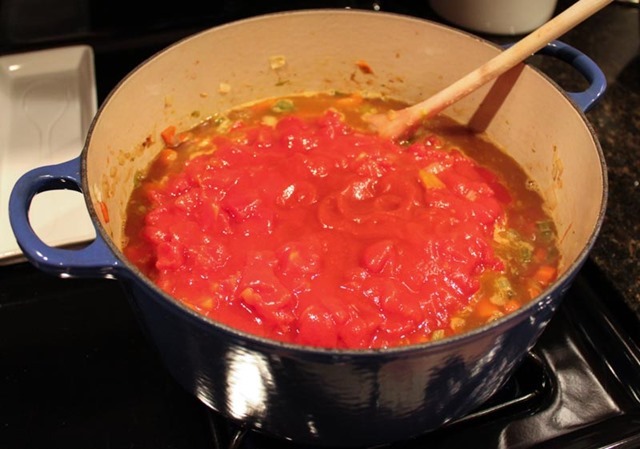 Lower the heat to medium-low and bring it to a simmer. 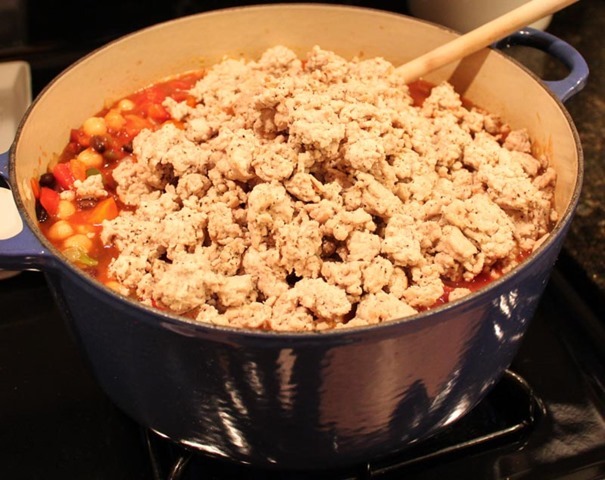 Once the chili has come to a simmer, add the cooked ground turkey back in and stir to combine. Add the farro, making sure that is thoroughly mixed in as well. The final step here is to add all of the spices. Cook with the lid on over low heat for 1 hour. After 1 hour check on the chili. 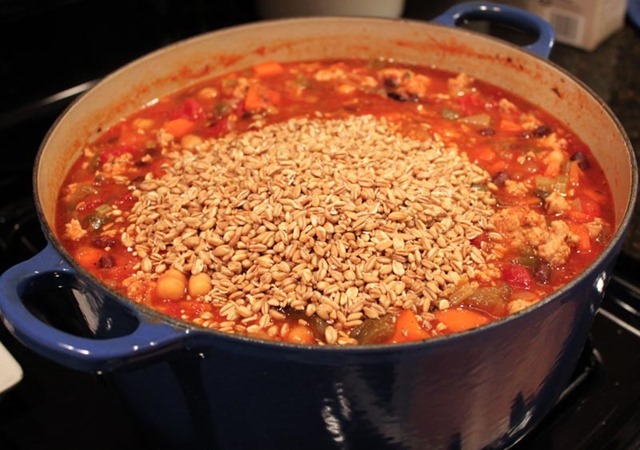 The farro should have plumped up and the whole mixture should have thickened. Taste for seasonings and adjust to your preferences. You can put the lid back on and simmer for as long as you want but at this point the chili is totally good to go. 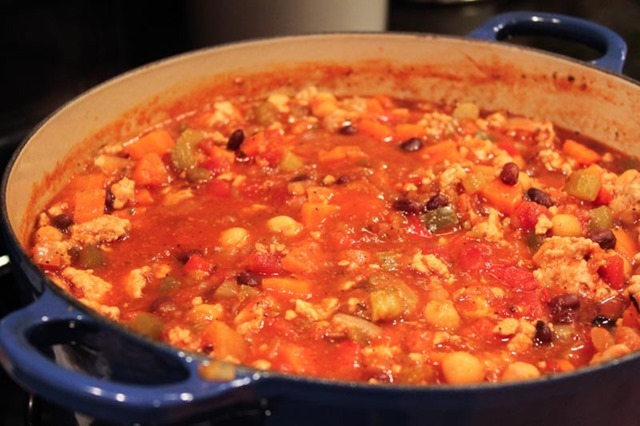 It’s thick, hearty, slightly spicy, flavorful, and full of great textures. I simmered for another 30 minutes, adjusted the seasonings again, and then removed from the heat. When the chili had cooled I divided it up into 5 tupperwares for work lunches for me and one large tupperware for John’s dinner for the week. 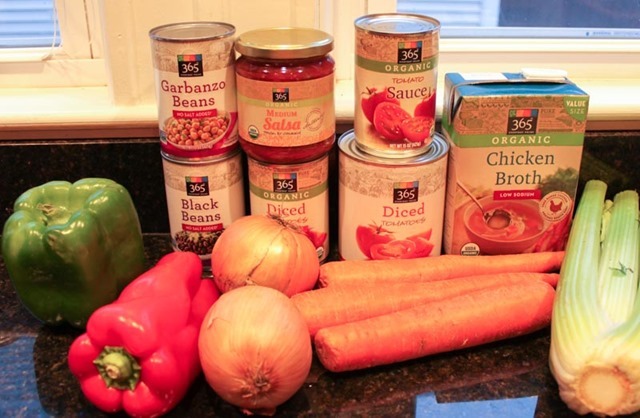 Easy, healthy, and quick – all good things during these busy winter weeks.